She accesses the online staffroom of her school to download material to use in some of her classes. She reads daily digests of e-mails from the five online professional development discussion groups belongs to. Sometimes she contributes a posting to the group on a topic she is interested in or knows something about. She notes down the date of a free webinar in her calendar, which she plans to attend next week. She checks her RSS reader and catches up with postings on two or three blogs written by other teachers around the world. She posts to her own professional blog about a new podcasting project that she has started with her elementary class. She usually posts once a week to her blog. She listens and responds to the podcasts her students have contributed to the podcasting site. She logs into Twitter once a day, to see what colleagues are up to, and to quickly follow a few links or articles recommended by her Twitter network. She sends a few tweets, including one about how her new class podcasting project is going. She bookmarks a few recommended sites from Twitter for later reading. She will add the really useful sites to her social bookmarking account (she uses Delicious). She catches up on postings and coursework from the free online course called ‘Digital Storytelling’ she is currently taking. She attends a video conferencing tutorial session with her online course colleagues and tutor. She updates her ePortfolio with the name, dates, length and a brief content description of her online course ‘Digital Storytelling’. Next week she’ll add a description of her class podcasting project and a link to what the students produced. 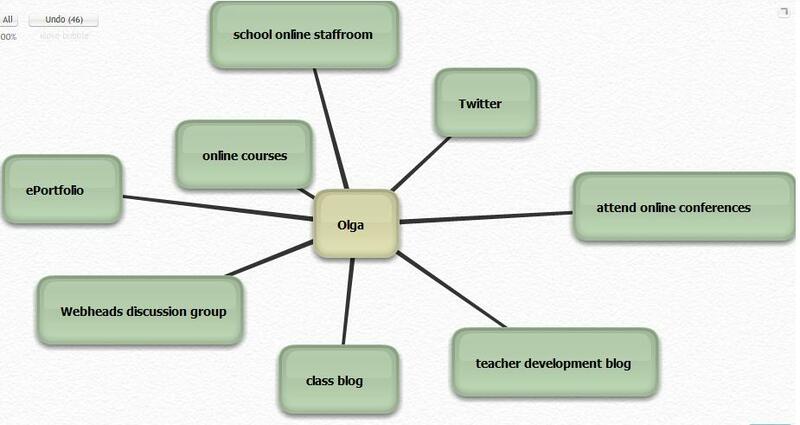 Olga is a teacher who knows how the Internet and social media can help her develop as a teacher. She is also Superwoman. How many of the above things do you do? How many do you plan to do, but not have time for? How guilty and pressured does this make you feel? And admit it, are you one of those people who can’t get through a meal with friends without checking for new email or tweets on your phone surreptiously under the table? And worst of all, I worry that it’s just me. Am I the only one who feels unable to cope with all of this information? Am I the only one who wakes up at two in the morning thinking about that article I only half read last night, because I just didn’t have time to finish it? Am I the only one worrying that I haven’t logged on to Twitter for two days, and have probably missed lots of really important stuff? Am I the only one wondering how to juggle my normal workload (large), my family life (demanding), my social life (meagre) and all this extra stuff?? I suspect I may not be the only one, but I don’t hear a lot of my colleagues talking about it. So let’s talk about it. Let’s share some coping strategies, some tips & some advice for how we can best manage all of the rich resources that Web 2.0 provides. Below are some of the strategies I (not always successfully) try to use. Tip 1: Accept the inevitable. You will never know everything, and you will never be able to fully keep up. Be very Zen about this. Tip 2: Make a list of all your ongoing online professional development sources (Twitter, discussion groups, blogs, webinars…). Prioritize them. Choose just a few to focus on each week or month. Tip 3: Put your list on the wall above your desk (yes, on paper – I do!) so you don’t do too much. Relax – you will cover those other things on your list, but all in good time. Tip 4: Use time management – allow yourself to log on to Twitter, say twice a day for 15 minutes only. Allow another 20 minutes a day to check your RSS feed, read a few new blog posts by colleagues’, and comment on one or two. No more. One or two comments a day is plenty!! Tip 5: Use personal management tools to help you organise incoming info. For example, use some sort of ‘read it later’ application or strategy to deal with fast incoming info from a source like Twitter. Send tweets with useful-looking links directly to Evernote, to Instapaper, or to Read it Later, to check out when you have time. Or mark the tweets as favourites (eg in Tweetdeck, where you get a separate Favourites column) and read them later, in your 30-minute daily Twitter slot. Tip 6: Be selective about links you save permanently. 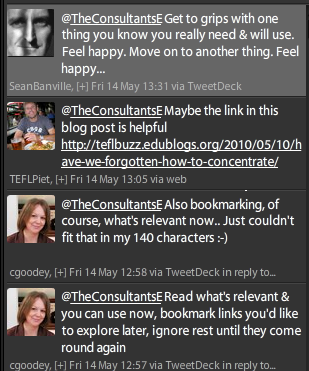 And make sure you use social bookmarking, NOT your old Firefox or Explorer Bookmarks! Very passé (those folders!) and only accessible from one machine. You want your bookmarks accessible from anywhere, and searchable by tags – by you and your network. Delicious and Diigo are two popular options. None of my tips are rocket science. But sometimes it helps to sit down, set things out, and take a good look at them. Then to make a plan, and (try to) put some strategies into practice. I suppose it isn’t such a coincidence though. There must be so many bloggers out there who feel the same way I do and amaze at the incredible internet presence of certain names. Surely these teachers or writers aren’t human? Either that or they don’t work, have a family or even have friends. But it isn’t so – these people actually have children, they teach, train, write, comment (although I don’t know if they really have any free time). I just find it amazing! In Spain the word for such people is “máquina” or machine – that to me is the perfect description, without wishing to offend – I know you are all human really! Gosh, I know how you feel. I think I’m going to take an extended break over the summer to recharge. My guilt arises from: not reading enough of everyone else’s blogs; not leaving enough comments; leaving comments that aren’t long enough; not following enough links… It sometimes gets too much. However, to help me keep organised I use Google Reader for the blogs (that’s my home page) and try to spread around my comments. I am down to posting a blog post once a week now. And I don’t tweet as much as some, I restrict that too. Thanks Michelle, Enda and Lindsay for your comments. Michelle, I have left a comment on your blog too — and that’s one of my blog post comments for this week done 🙂 Means I won’t be able to comment on Enda or Lindsay’s blogs this week though. Sigh. Lindsay, I also intend to take some time completely off this summer, and will go somewhere sans laptop and where I don’t have an international data plan for my iPhone. The big question is, will I be able to keep away from Internet cafes for an entire two weeks? I intend to try. We hire a house in Ireland for two weeks in the country about 90mins from nearest internet access … it works! I hear you Nicky… my question is How do mothers do it all? when the kids are asleep 😉 – that goes for dads too! I think maybe parents are possibly better placed to deal with – or at least more experienced with – the guilt and the juggling – just one more ball? having said that it’s also yet another layer of guilt – no special strats for that really, except to try not to whip yourself – and to compartmentalise – you know “when with the kids, be with the kids” – and when on twitter, enjoy! Another coincidence – this is the title of one of the modules in our international Eliberation: Taking charge of your e-learning course. Or maybe it is the wonderful connectivity of the internet as I see Tarik Boussetta is mentioned on your site and he was one of the international team who took part in discussing the original design of this course. If anyone would like to participate in a Moodle course that is looking at this and other aspects of organising your online learning please contact me at janebrotchie@gmail.com. The next run will be in July and it is an international course. All stressed out online learners welcome! Hi Jane,thanks for telling us about your course, it sounds like one I should do! Just to clarify for anybody reading these comments -Tarik Boussetta from Morocco is this year’s winner of The Consultants-E IATEFL Online scholarship (see http://bit.ly/9diMV6 for more info on the scholarship – you can apply next year!). Congratulations to Tarik! Oh I empathise with this article about Olga’s pursuits online. I think that there are many like her now working in similar roles with busy online schedules in educational fields all over the world. 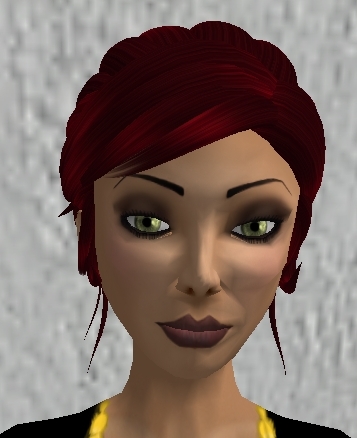 She is the ‘face’ of the new age teacher! My own typical week of ementoring, coaching and tutoring feels very much like that of Olga and I am constantly looking for ‘smart’ ways to control any ‘overload’. Thanks for your wise and practical tips. Twitter is a monster and I have developed one or two strategies for coping with both it and an Olga-like workload. One is to use the search facility to follow a few very specific people in their own columns in Tweetdeck – those people who are in a similar line of work and say things that I am likely to want to hear. I have my all contacts list first as usual, but often hundreds of tweets have gone past and are unrecoverable between readings, and I probably don’t want to read them all anyway. I can glance down to get the drift of what is going on and elect in if it looks useful, that column tends to be very social. I catch it if I catch it and don’t if I don’t! However on my search columns where I have people that I want to read I can be sure of catching the tweets that are important to me without missing any. Often there are just a few tweets in each column and they are easy to follow and only take a few seconds to read. Also with Tweetdeck I use a hash tag to mark things suitable to share with our teachers / learners, then those bits automatically go to the blog where one of the team will cut and paste the tweets into a permanent record on a page when they have a few minutes to spare. Hi Carol, thanks for your comments (and apologies for not replying earlier – comments on my blog are suddenly going straight into Spam, including my own comments, which means I am missing them). Thank you for your two fantastic tips. 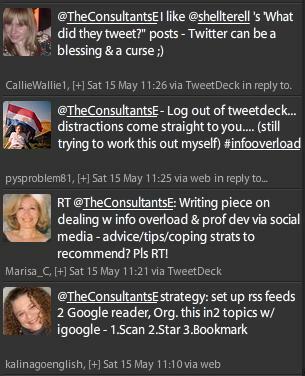 I am trying out the dedicated column for specific people in Tweetdeck right now. It seems to be working a treat! Clever! Thanks, Nicky, for your sound advice. Like Olga, I also feel like drowning many times. I also do most of the activities Olga does and I’m also a translator. I have to add strict deadlines. For that reason, I select the articles I read very well. Many times, I feel guilty because I bookmark articles I never read. However, I understand that even though there´s a flood of material I receive, I cannot read everything. I would like to update my blog more frequently but I can´t. I know what you mean about updating your blog, Marisa. When I set up my blog, which was fairly recently (last November), I decided from the outset to only try and do two posts a month. Even keeping up with that is a challenge! Great post, thank-you. You point out some very real issues which affect many of us. I think everyone has their own juggling to be done in life, whatever their situation. Regarding children, I do wish that when we have children, there was not only a course on how to get the blighters out of our bodies, but also how to deal with the constant feelings of guilt which start the minute we find out we’re pregnant. I know that these feelings go for the fathers too. Last week I had an hour between picking Thomas up and dropping him off so I could teach. We went to McDonalds and got a Happy Meal – well, that’s 50 lashings already for bad mother of the year. He’s four now and I’m getting the hang of the guilt thing slowly but surely and it’s helped me with my work and online life too. We are none of us (male or females) who are super human. We can’t do everything. I feel that when we admit this, it becomes easier. There’ll always be things I miss in Twitter, blogs I won’t get round to reading, comments I started writing and then got distracted. But hey, my network forgives me I hope, and it’s none of it life or death. The very real stress it can generate however is, and should IMHO be kept in check. Do what’s right for YOU – take a break, allocate times for different activities etc. I like to take my laptop to the local play centre so Thomas gets to run around and I can use the free wifi. We also have an egg timer that works wonders. If I have something that needs doing I set it for 20mins and put it where Thomas can see it. I tell him, I’m working for 20mins and he will need to play or do something that he likes for that time. I promise him that when the 20mins is up, I’m all his to play with. It seems to work for us. I hate to admit it, but I’m pretty rubbish at switching off from social media. Seriously, though – very helpful tips, and thanks. Good to know it’s not only me who sometimes feels stressed out by the inability to keep up with the relentless speed the flow of information moves at these days, as well. I’ve only just come across this post as I’m drowning in blogs on my google reader, I think I need to trim a bit. I decided a few weeks back to ignore twitter and blogs at the weekend and wrote about it on my blog, but I find that other people are so active over the weekend that I switch on on Monday morning and find another 50 blog posts in google reader, which then means that I’ve got to go through those to check for interesting things. Also, I find that even though I do use instapaper I never get time to read what I saved. Recently I’ve been wondering if it’s all a bit too much, but I’m going to try to be a bit more selective with blogs I follow, it’s just not possible to read everything.